The person (German) who was to become Ven. Nayanapoinika Maha Thera was born in Hanau, Germany on July 21, 1901 as Siegmund Feniger, the only child of a Jewish family. Despite these traumatic experiences as prisoner of war, during this period, Ven. Nayanaponika Thera completed the German translations of the Sutta Nipata, the Dhammasangani (the first book of the Abhidhamma Pitaka) and its commentary. He also compiled an anthology of texts on Satipattana Meditation. That was when at Diyatalawa and the balance writing of what Ven. Nyanaponiak Thera began was concluded at Dehra Dun, India. The experience he gathered motivated him to write his best known Magnum Copus, 'The Heart of Buddhist meditation' published by Buddhist Publication Society with many editions and translated into more than seven languages. This is a prescribed text in universities in the Study of Buddhism. Ven. Nayanaponika Thera's biography is completely submerged in his writings. With advancing age having a heavy toll on his strength, in 1984, Ven. Nayanaponika Thera retired as editor of BPS and in 1988 he retired as President, accepting appointments as BPS's distinguished Parton. 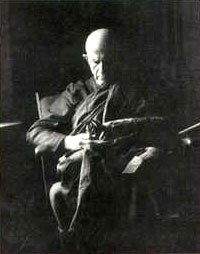 His fame and recognition as an exponent of authentic Theravada Buddhism reached all corners of the globe.